I´ve always used this as having one (T) for each copy, including itself. 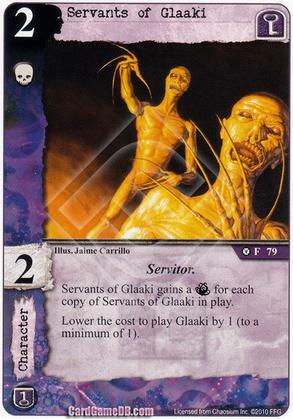 But yesterday I couldn´t convince my brother that, having only one Servant of Glaaki in play, it already had one (T) icon. Yes, you're correct. Otherwise it would have to specify "each copy but one."